The Homeopathic Symposium Learning Center contains our library of interactive Case Videos and Multimedia Tutorials. The section links below lead to searchable databases of our cases and tutorials. Please review our Homeopathic Symposium System Requirements before viewing multimedia tutorials. 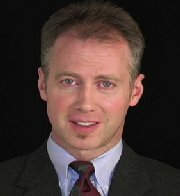 Each full course consists of a streaming video intake interview; interactive case analysis segments including assembly of the totality of characterizing symptoms, repertorization, discussion of the chosen remedy and important differentials, and provider commentaries; and streaming video followup interviews, typically totally 4-5 hours of interactive learning. When a swim coach’s allergies get worse and start to include congestion from exposure to chorine, homeopathy is tried as a last resort. The case unfolds a deep long-term guilt from the past that still impacts the way this patient lives her life today. In addition to the use of a classical analysis and repertorization, this case also discusses how Dr. Sankaran’s miasms, and the Vital Sensation approach may be used to lead us to a deep acting remedy for this case. We are assembling a growing collection of presentations on homeopathic practice, philosophy and materia medica, created by respected teachers. These seminar-quality narrated slideshows may be viewed at your own pace, on your own schedule. Presentations are designed to complement the formal study of homeopathy, or serve as material for continuing education for established practitioners.